“Throughout our nation’s history, economic growth, prosperity, and opportunity have followed investments in the nation’s infrastructure,” the committee’s “views and estimates” document stated, adding that an infrastructure bill should encourage technological solutions and promote innovation. Transportation authorizers have not scheduled hearings to legislate on infrastructure. A proposal President Donald Trump unveiled Feb. 12 calls for accessing $200 billion to leverage nonfederal investments totaling $1.3 trillion over 10 years. The proposal did not address the Highway Trust Fund’s impending insolvency. 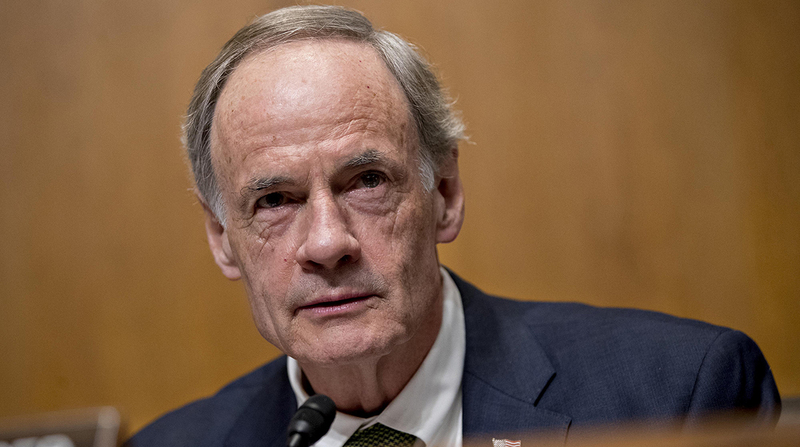 After transportation authorizers in Congress met with Trump at the White House Feb. 14, Sen. Tom Carper (D-Del. ), one of the attendees, said the president endorsed a fuel tax increase. The White House has not confirmed such sentiment. Transportation Secretary Elaine Chao is scheduled to explain the White House’s proposal to Carper’s Environment and Public Works Committee March 1. The rate of the federal fuel tax no longer is able to keep the trust fund solvent. States rely on the fund for massive maintenance and construction projects. Since 1993, the gas and diesel tax have been 18.4 cents per gallon, and 24.4 cents per gallon, respectively. Key freight stakeholders, such as the U.S. Chamber of Commerce, continue to call on Congress to approve an increase. Opposition, however, comes from most Republicans. Pushback to the fuel tax increase stems primarily from Republican opinion leader Grover Norquist, president of Americans for Tax Reform. A gas tax is a direct assault on middle class America. That is what Bill Clinton did. It is what Obama tried to do. Republicans will never pass a tax hike on working Americans. The swamp is engaged in wishful thinking.